In our 3rd edition of Sponsor Pipeline Insights, we’re heading overseas to France, a growing hotbed for clinical activity in Europe. While primarily dominated by a focus on oncology, there is an expanding range of other therapeutic focus areas being delved into as well. If you missed part 2 of the series, you should check it out here to learn about the most active clinical study registrants in the American Northeast! ‍Just outside of Dijon is Daix’s Inventiva Pharma, the clinical stage company focused on the development of therapies targeting metabolic, endocrine, genetic, and oncologic indications. Of their 4 active clinical studies, 2 have been registered within the previous 12 months. Inventiva’s leading candidate, Lanifibranor, is currently in Phase IIb for multiple indications, Nonalcoholic steatohepatitis (NASH) and Systemic Sclerosis (SSc). Earlier this week, it was found to have a good safety profile following 2 carcinogenicity studies. Have a Zymewire account? Click here to view all of Inventiva’s global activity! Paris suburbanite, DBV Technologies, is a clinical stage company out in Bagneux developing novel immunotherapies and a proprietary platform called Viaskin. Their target indications are food allergies (peanut, egg, milk) across a range of age groups. Within the last year, 2 of their 7 active studies were registered, with Viaskin Peanut leading DBV’s pipeline after receiving FDA Breakthrough Therapy and Fast Track designation in children between the ages of 4 and 11. Viaskin Milk, for those with allergies to cow’s milk protein, also received Fast Track Designation for the study in patients ages 2 to 17. Most recently, they appointed Kevin Trapp as their new Chief Commercial Officer after a lengthy tenure at Bristol-Myers Squibb. Have a Zymewire account? Click here to view all of DBV’s global activity! The Strasbourg biotech, part of the Institut Merieux holding company portfolio, develops immunotherapies across oncologic and infectious indications using viral vector technologies. Of Transgene’s 7 active studies, 2 have been registered within the last year, with a recent update to a joint study with BMS showing a delay in anticipated completion date to February 2019. The phase II trial is evaluating the efficacy of the combination treatment for Stage 4 non-squamous non-small lung cancer (NSCLC) using nivolumab plus Transgene’s TG4010 (MUC1 protein targeting vaccine). Have a Zymewire account? Click here to view all of Transgene’s global activity! With their HQ also located in a suburban commune of Paris, the privately owned commercial company develops branded and generic products across a broad range of therapeutic areas, including: cardiovascular, oncology, CNS, and various internal medicine indications. Their pipeline, with 8 active studies (2 registered in the last 12 months), covers their existing therapeutic areas, as well as immune inflammatory diseases. They recently announced a collaboration with Galapagos NV for an 852 patient Phase 2 study of candidate S201086/GLPG1972, a daily tablet for patients with knee Osteoarthritis. The estimated study start date was updated to this month. Have a Zymewire account? Click here to view all of Servier’s global activity! The third company to be located out in the Parisian suburbs, the derma-cosmetic laboratory and pharmaceutical group occupies a slice of Boulogne - Billancourt, among their presence in over 40 more countries. The company focuses on 3 main areas of research: Oncology, neuropsychiatry, and dermatology. They currently have 14 active studies running across these therapeutic areas, 2 of which have been registered within the last 12 months. In recent news, a joint phase I/II study of Metronomic Oral Vinorelbine Plus Anti-PD-L1/Anti-CTLA4 Immunotherapy in Patients With Advanced Solid Tumours (MOVIE) between Pierre Fabre Laboratories, AstraZeneca, and UNICANCER began recruiting. The estimated enrollment size for the trial is 150 participants. Have a Zymewire account? Click here to view all of Pierre Fabre’s global activity! A first for the series, Enyo Pharma currently has no active studies, but registered 3 within the last 12 months. The 4 year old biopharma is running 3 development programs, all “inspired by viruses”. The more advanced of their programs, EYP001 (FXR agonist), currently has 2 tracks covering chronic hepatitis B and NASH. Enyo announced the closure of a €40 million series B round of funding for the development of new assets and further development of EYP001. Have a Zymewire account? Click here to view all of Enyo Pharma’s global activity! Just over 6km from Enyo in Lyon, the commercial vaccine maker recently reported strong growth in sales for IXIARO®, their Japanese Encephalitis product. Within the last 12 months, Valneva has registered 3 of their 4 active studies, developing candidates for indications such as: Chikungunya, Zika, Lyme Disease, and Clostridium difficile. Have a Zymewire account? Click here to view all of Valneva’s global activity! A subsidiary of the Novartis, Saint-Genis-Pouilly’s Advanced Accelerator Applications (AAA) develops therapies in molecular nuclear medicine for a range of indications across oncology, cardiology, neurology, infectious disease, CNS, and endocrinology. Their most advanced candidate, 99MTc-rhAnnexin V-128 (SPECT Diagnostic) is being developed for the diagnosis and assessment of apoptotic and necrotic processes in oncologic conditions, cardiovascular disease, and autoimmune disorders. 3 of AAA’s 6 active studies were registered within the last 12 months across PI - III. In late June, the first patients received dosages in two studies with radiolabeled PMSA-R2 for prostate cancer. Have a Zymewire account? 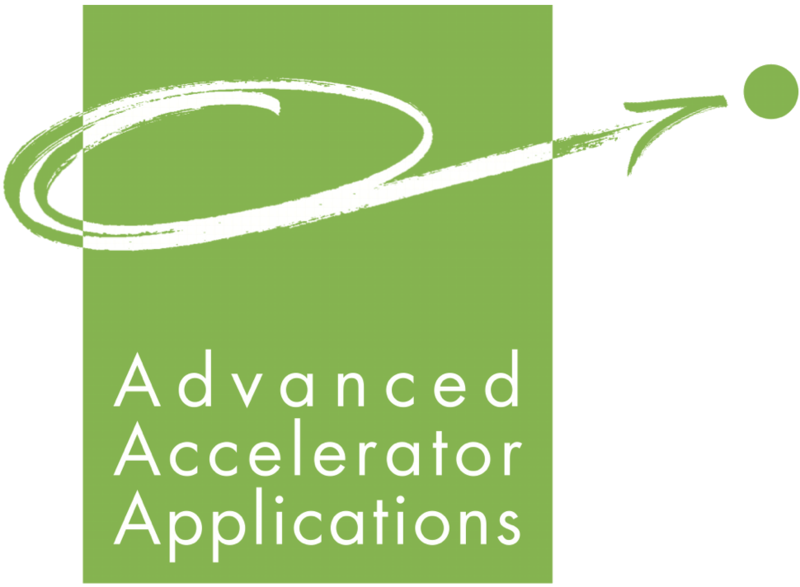 Click here to view all of Advanced Accelerator Applications’ global activity! Another first for the series, both a subsidiary and their parent are appearing in the same list. Sanofi Pasteur, the vaccine division of Sanofi, is the world’s largest company devoted entirely to vaccine development, with an active study count of 39, where 12 have been registered within the previous 12 months. In recent news, Sanofi Pasteur announced a collaborative Phase I interventional study with Centre Hospitalier Universitaire de Saint Etienne, investigating Ex Vivo Evaluation of Immunity Activation Face to Staphylococcus Aureus Antigens and Adjuvants of a Vaccine Candidate in Cells From Haemodialysis Patients. Have a Zymewire account? Click here to view all of Sanofi Pasteur’s global activity! The parent of this edition’s runner up, Sanofi is the Paris based pharma giant. They’re the fifth largest by sales, commercializing products across seven major therapeutic areas: cardiovascular, CNS, diabetes, internal medicine, oncology, thrombosis, and vaccines. They currently have 230 active studies, with 62 being registered in the last year. An update was shared this week for their collaborative study with Memorial Sloan Kettering Cancer Center, with the updated anticipated completion date now being August 2019. The trial is examining the effects of a combination treatment regimen with Floxuridine, Oxaliplatin and Irinotecan in patients with hepatic metastases from colorectal cancer. Have a Zymewire account? Click here to view all of Sanofi’s global activity! Much like the US market, pharma/biotech in France is actively changing all the time, with new developments and innovation arising each week. If you would like a simple solution for keeping an eye on the specific market activity you care about, without relying on an analyst populated database or generic lists of leads each week, Zymewire is here to help. Reach out today to learn how we're supporting business development teams at more than 200 companies around the world!